A milium cyst, also known as milia when clustered, is a white bump around the nose and cheeks. Skin damage from burns, lasers and sun exposure are common causes. Milium cysts are closed sacs found within the body and are common in all ages. In newborns, milia is also known as baby acne. Baby acne, or infantile acne, tends to be most prevalent around 4 weeks of age. It is often harmless and poses no problems for the child. Baby acne usually disappears by itself within a few months. According to the Stanford School of Medicine, milia occurs in about 40 percent of newborn babies. 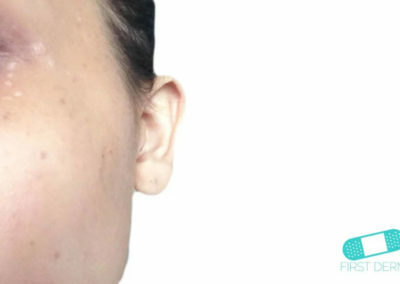 All races and genders are equally susceptible to milia, but women tend to get the rare inflammatory milia (milia en plaque and eruptive milia) more frequently. Many children have tiny white, pinpoint spots or milk spots in their faces during their first weeks of life. It is believed that milia are caused by blockage in sebaceous glands in the skin. They usually occur in the skin of the nose, chin, or cheeks. 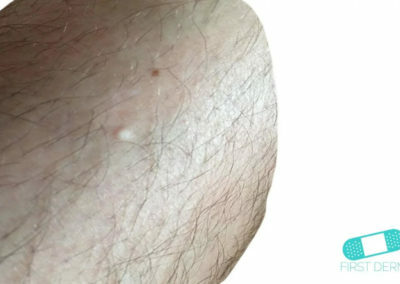 This kind of rash is seen more often in the summer when it is hot. For adults, milium cysts usually appear on the face, mostly around the eyes. They present themselves as small firm lesions, with whitish tones. They usually arise for no apparent reason but several diseases and dermatologic treatments can trigger their development. For example, milia is often associated with Porphyria Cutanea Tarda, which causes blistering conditions as well.  They may also follow the use of topical medication, such as phenols, hydroquinone, 5-fluorouracil cream, corticosteroid creams. In addition, eyelids are very thin and more likely to experience problems with milia due to cosmetics. These cysts are usually harmless and cause no inconvenience. 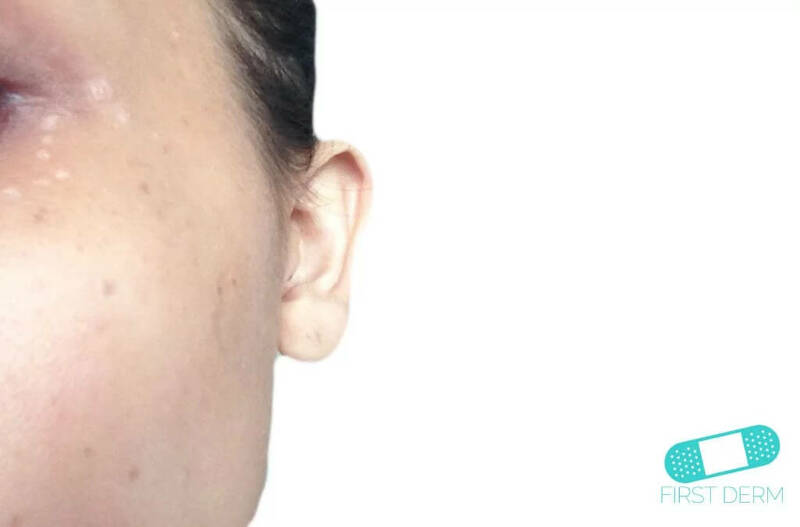 Unlike blackheads (open comedones) and whiteheads (closed comedones), milia do not develop into acne lesions. They usually disappear within 1-2 months without any treatment. If the skin on your child’s cheeks becomes very dry, it can be lubricated with an unscented, moisturizing cream. To avoid milia, you can try to reduce the use of heavy skin care products, as they can smother your skin and prevent the sloughing of dead skin cells. Use oil-free or noncomedogenic products instead. Exfoliation and retinol are also found to be effective at times. Although the condition is mostly harmless, the spots can turn into milia en plaque (a rare inflammatory condition). Therefore, if the cysts spreads over the body or become a dry, red rash that covers the cheeks, contact a healthcare provider. No treatment is necessary for baby acne. The cysts will clear up within a few weeks. In older children and adults, milia will go away within a few months. If milium cysts persist on the skin, you may try various treatments for cosmetic purposes. This includes topical creams, laser treatment, and cauterizing or freezing the cysts. They are easily treated by plucking the roof of the milium cyst and expressing the contents.